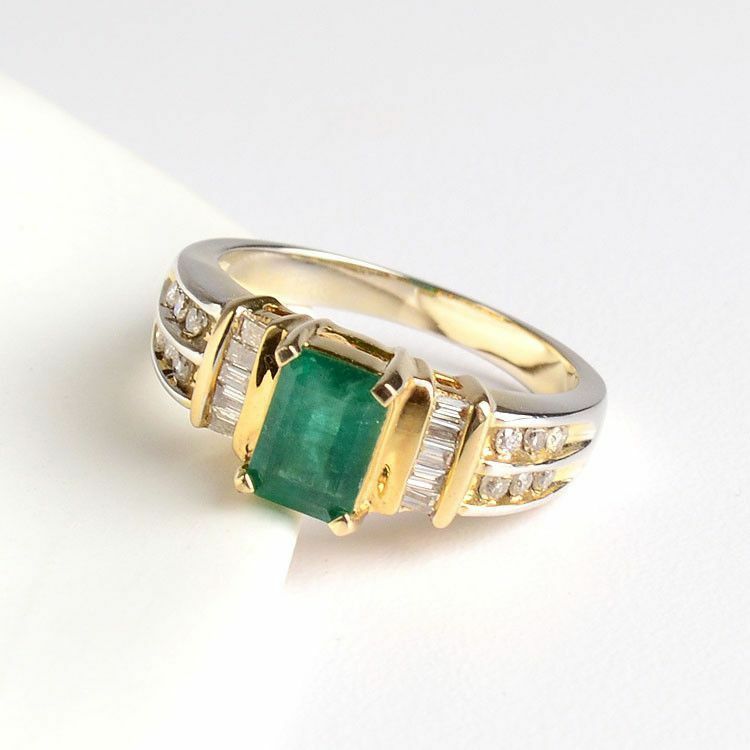 This emerald and diamonds ring is sure to please! 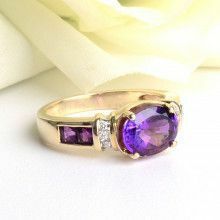 The 1 carat rectangular center stone sits in a classic 4 prong setting, surrounded by 0.5 carats of sparkling diamonds. 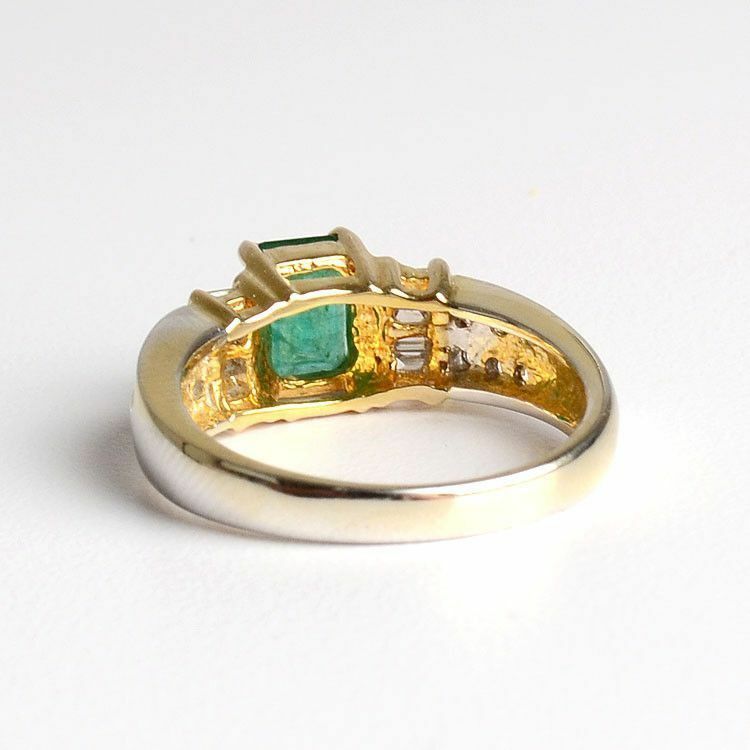 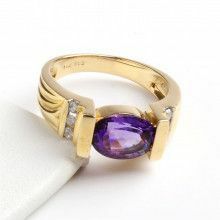 This size 7 ring is made with genuine 14 karat yellow gold.